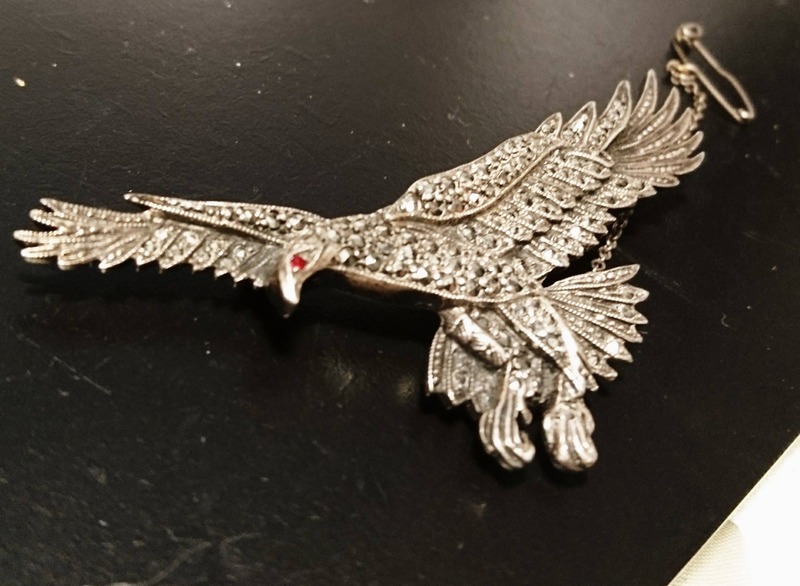 An absolutely beautiful 1930's sterling silver and marcasite eagle brooch, crafted intricately from sterling silver and tiny marcasite stones. 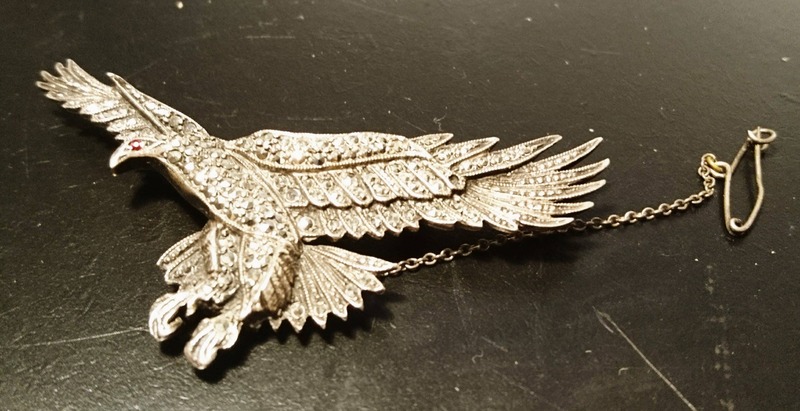 This brooch is magnificent and gives off a very art deco style, marcasite was very popular in the period, it is sparkly and decadent without the price tag of diamonds. 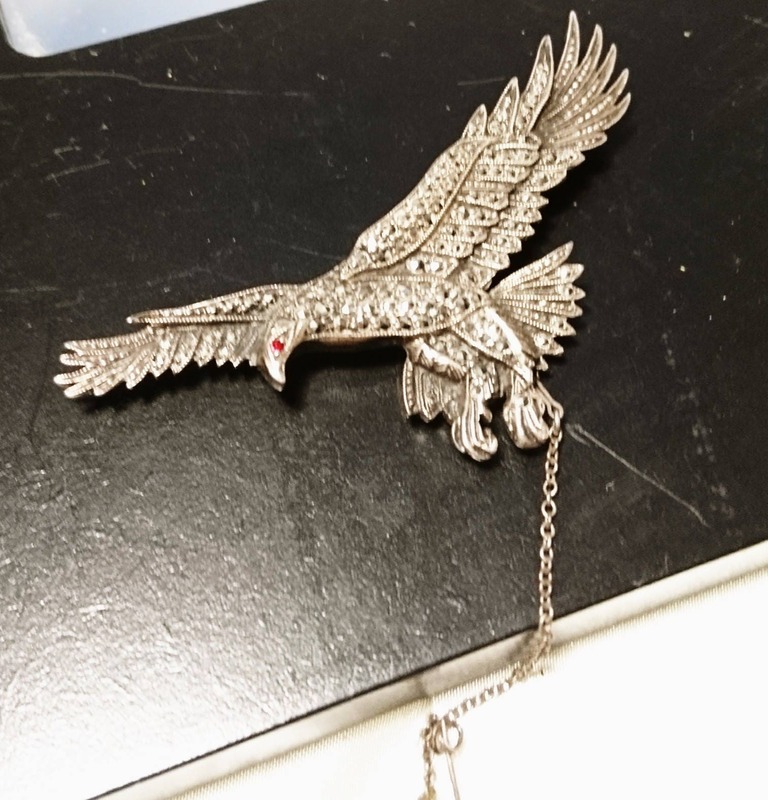 The eagle has a red stone set eye and the brooch has the original safety chain and pin. 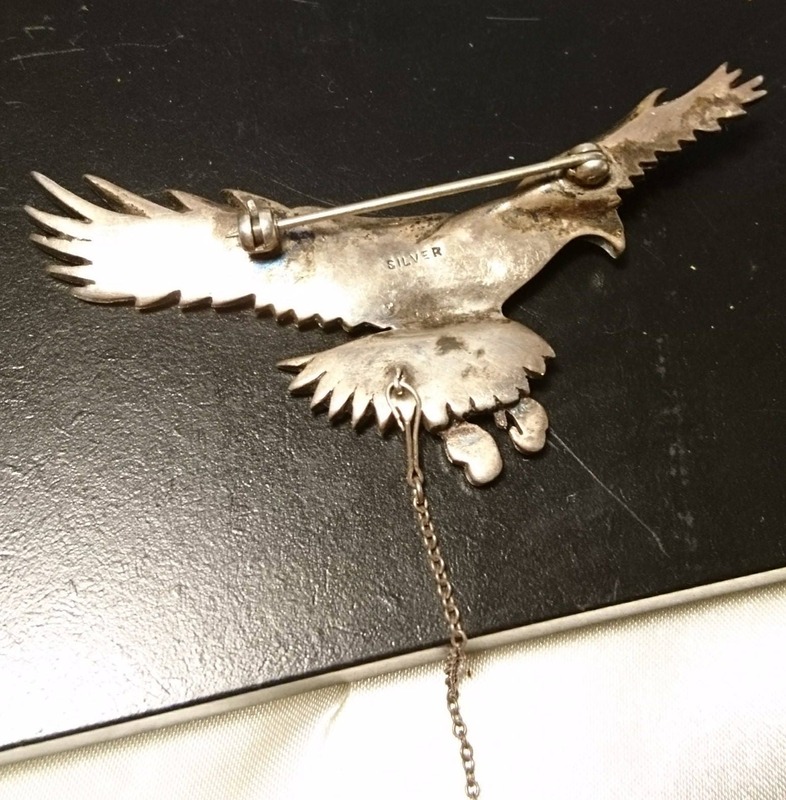 Very good vintage condition with no missing stones, original fastenings. 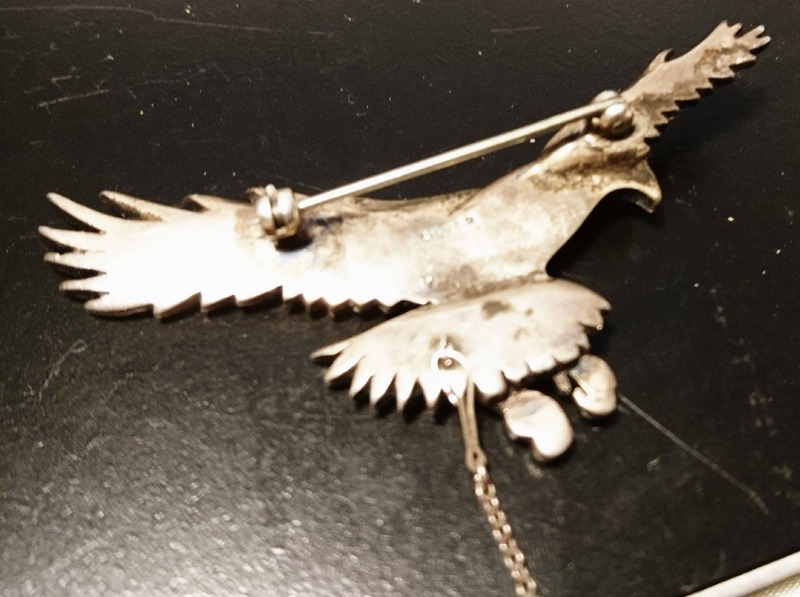 A decent weight to it and a large brooch at approx 3" wide. 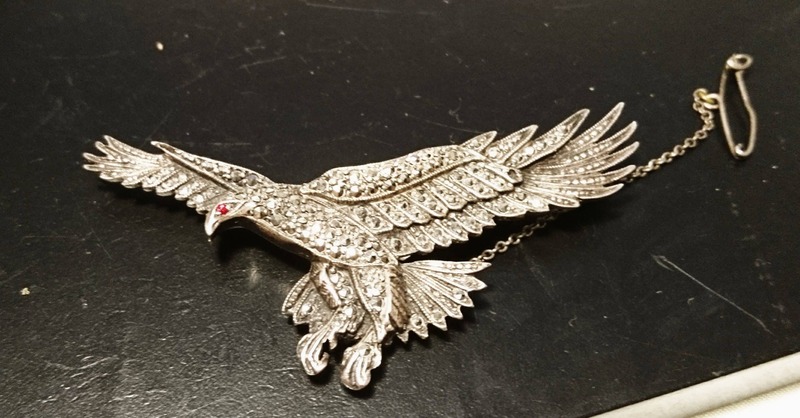 A stunning piece of 30's jewellery, very detailed with different layers to the brooch giving the eagle a 3d effect, I have seen a few eagle examples but none as detailed as this one.